© Lisa Daugherty. All rights reserved. 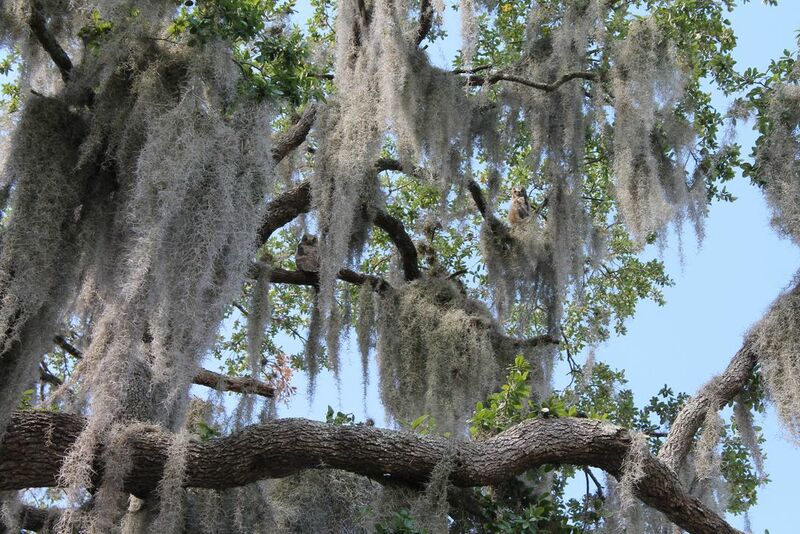 The photo shows a pair of fledgling owls hiding in the spanish moss in a large live oak on a property in Lake Wales, Florida. Date Uploaded: Sept. 27, 2015, 11:05 a.m.